Will New York's New Highway "Texting Stops" Curb Distracted Driving? 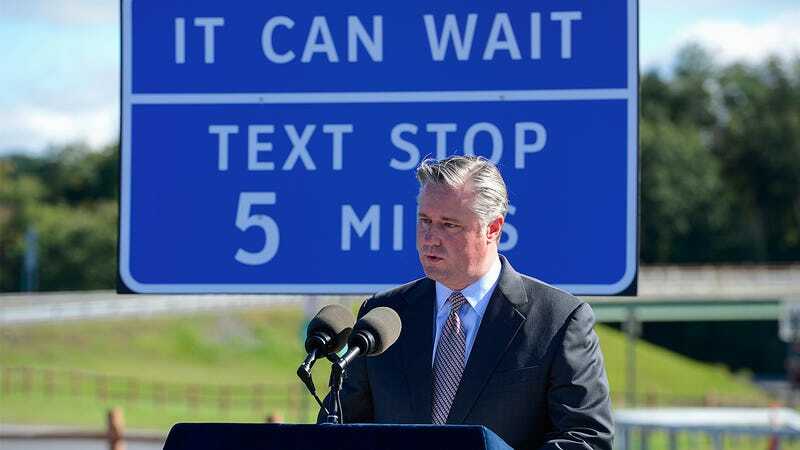 In an attempt to curb the number of dangerous drivers on New York highways who are distracted by their smartphones, the state is introducing dedicated Texting Zones where motorists can pull off, park, and safely use their mobile devices. But the initiative doesn't require any new construction since existing rest stops and parking areas along thruways and highways are technically being re-branded as the safe places to pull over and text. What is being added are a total of 298 signs along highways across the state to make motorists aware of the upcoming spots where they can stop and safely check their phones. The signs carry messages like "It can wait" in addition to how close the next Texting Zone is, reassuring drivers that they won't have to actually wait long to respond to a text, or see what their friends think of a photo they recently Instagrammed.